For all new, expanding, or established businesses; finding the right office can often be the cause of much frustration. Well, not any more! Levels 18 & 19 of 41 Exhibition Street offer state-of-the-art facilities in Melbourne’s prized East End. With outstanding views of the Sports & Entertainment Precinct, Botanical Gardens, and Port Phillip Bay, it’s the perfect location to take your business to new heights. Plus, you’ll also be surrounded by some of Melbourne’s finest restaurants, cafés, and bars! Contact Bronson Shelton for more information. 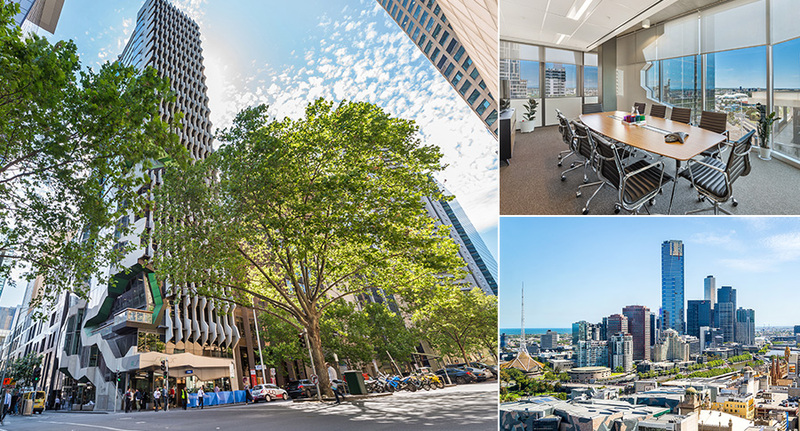 Leasing, Sales & Leasing 41ex, east end, Lease, leasing, Level 18, Level 19, Melbourne CBD, Melbourne Sports Precinct, Southbank, Upper Floors, Views, Yarra River permalink.